Porsche will take up the 24 Hours of Daytona from pole position. At the wheel of the No. 911 Porsche 911 RSR, works driver Nick Tandy (Great Britain) set the fastest lap time in the 15-minute qualifying session. Scoring a time of 1:42.257 minutes, the British racer was clearly ahead of his toughest rivals in the GTLM class. Earl Bamber (New Zealand) planted the sister car with the starting number 912 on the fifth grid spot. The two Porsche 911 RSR tackle round one of the 2019 IMSA WeatherTech SportsCar Championship season in the livery of the legendary Brumos Racing team. 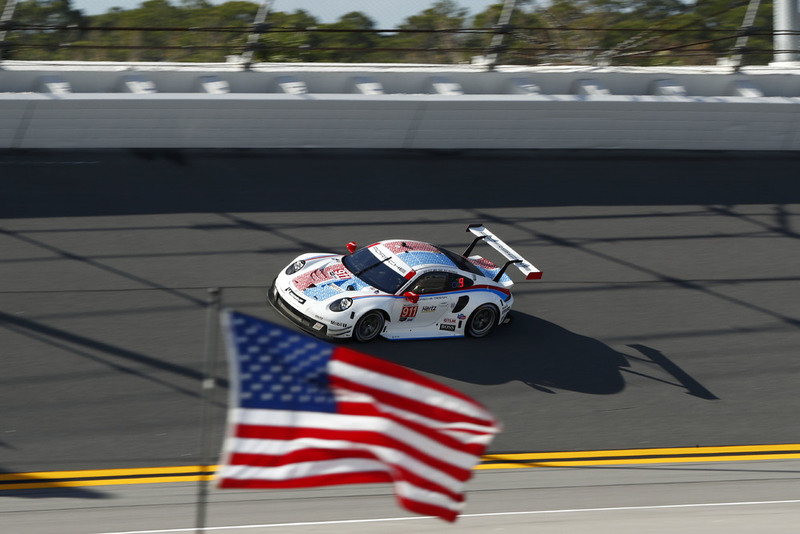 In the hunt for top times, the Porsche GT Team chose a perfect strategy. The experienced factory squad sent the ca. 510 hp sports cars from Weissach out on the track precisely at the right time. Tandy benefited from the slipstream of other vehicles and got the best out of the 911 RSR’s high potential. With his hottest lap, the UK driver set a new qualifying record for the GTLM class at Daytona. Posting six top times in the GTLM class, Tandy is the best qualifying driver in the history of the IMSA SportsCar Championship. The fifth grid spot for the No. 912 Porsche 911 RSR rounds off a successful qualifying session for Porsche. The 24-hour race at Daytona takes off on Saturday, 26 January, at 14:35 hrs local time (20:35 hrs CET).